From Chris Kimble: The precious metals sector continues to be a “grind”, offering a few trades but mostly sideways to lower action. Gold prices have slogged along and this had held the Gold Miners (GDX) back… until recently. 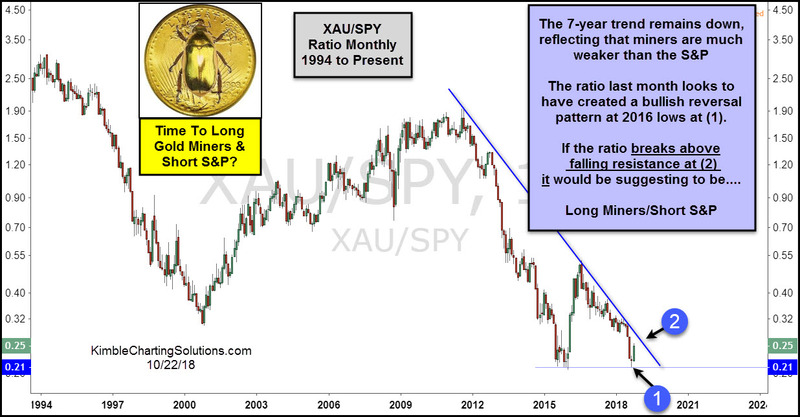 The Gold Miners (GDX) and the broader Gold & Silver Miners Index (XAU) came to life in September and October. The VanEck Vectors Gold Miners ETF (GDX) was unchanged in premarket trading Thursday. Year-to-date, GDX has declined -14.50%, versus a -0.18% rise in the benchmark S&P 500 index during the same period. Are Gold Miners Cheap Now?